I’d say it’s about a 10 minute walk from the Waverton Station which we passed on our drive towards the Balls Head Reserve. This hidden treasure offers an intimate view of the Harbour Bridge, the Opera House and the city skyline. All these WITHOUT THE CROWDS! Thanks for this photo, Lin & Greg! Think about it. 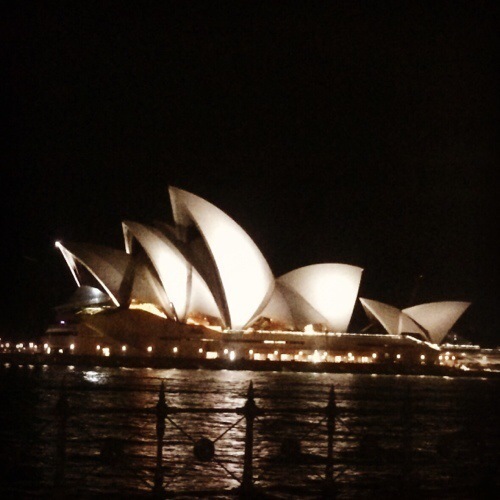 You’d be lucky to have a photo of the Opera House without tourists with cameras on outstretched arms. And if you’re thinking of snapping a photo while on a ferry ride, do remember you need to compete with many ferry riders with the same idea. Balls Head Reserve is a good spot to take photos of those iconic landmarks. 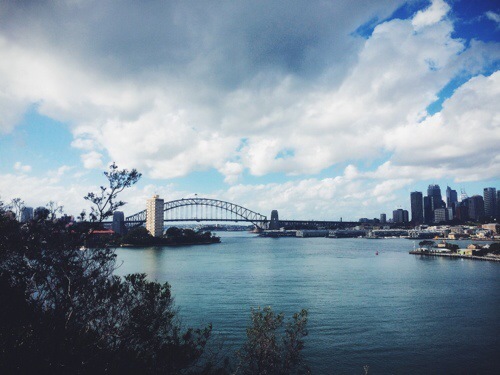 Less than one kilometre from Waverton Station, Balls Head Reserve offers a sanctuary for those meaning to spend a quiet morning or afternoon. 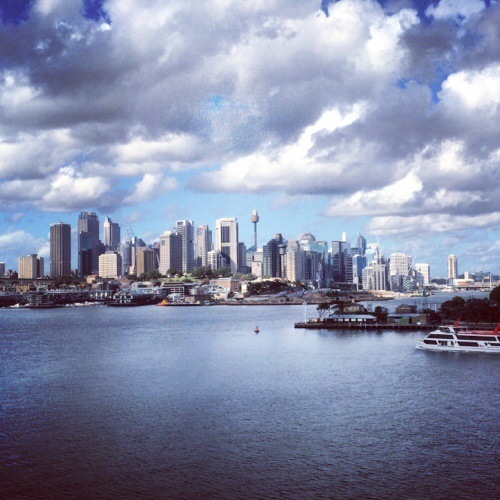 The Opera House, the Harbour Bridge and the city skyline across turquoise waters are a bonus. Such an unexplored gem. A hidden treasure, if you like. 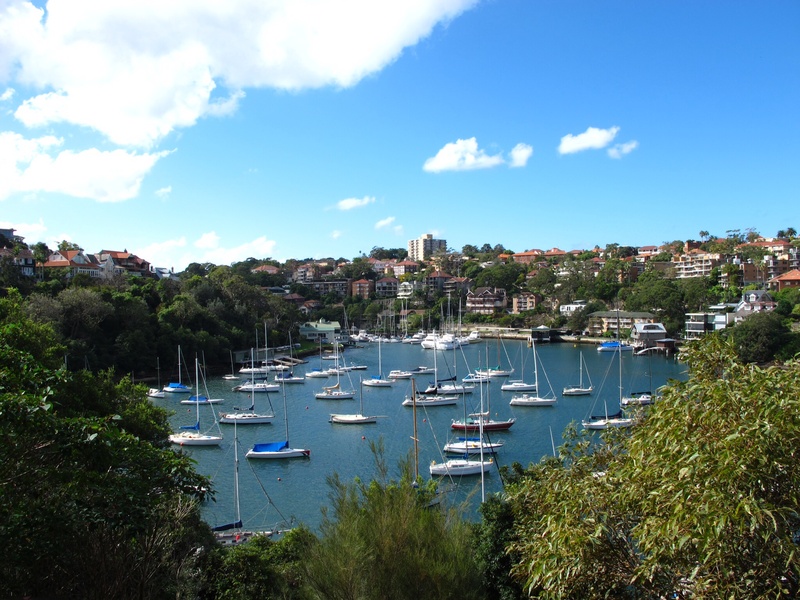 And if you still have the energy for a good stroll, move over to the Mosman Bay area where you’d find lovely villas lining a wharf area. The boats parked here will tell you it’s a busy jetty. Now, to get even “more intimate”, reserve a night and head to The Rocks area right under the bridge from where you view the Opera and Luna Park across the waters. Away from the restaurant and pub rows. 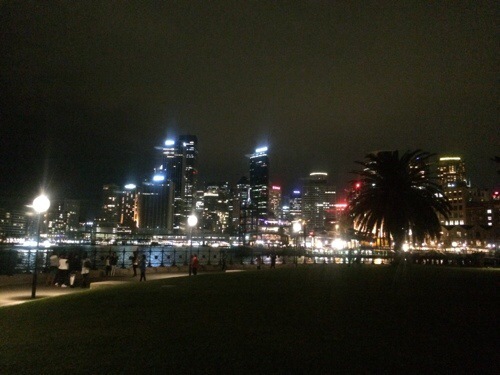 There’s a tiny park right under the bridge with an illuminated view of Luna Park across the waters. Just lovely. And quiet. Not sure if we just chanced it, but there was hardly a crowd here when we visited. 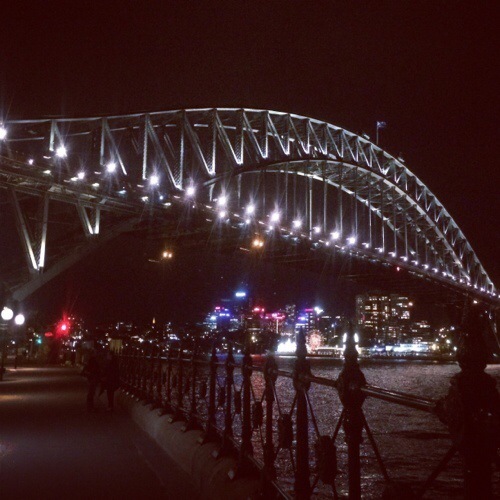 Nighttime is best to appreciate these Sydney icons all illuminated….. Speaking of which, check out Vivid Sydney from May 23 to June 9. The Opera and the Harbour Bridge, along with the city skyline should look more impressive here. Maybe lovelier, but can’t bet on the “quiet” as the event will draw in more tourists for sure.